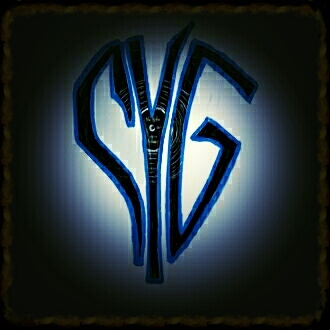 A good quality stylus is an important part of your system to keep your records in great shape. There are a couple budget options I would recommend. I use and love the SHURE M97XE. This $89 cartridge( On Amazon) is a great tracker with a rich warm tone. With a light tracking pressure of 1.25 grams if setup correctly should not degrade your vinyl much at all over the years. Replacement styli are around $45- $60. One stylus replacement lasts me about 11 months with daily use ranging from 1/2 hour to 3 hours. I inspect the diamond tip under a magnifying glass that is on top of my Onzow Zerodust every other month to see how it is holding up. There have been reports on Amazon of quality control issues but SHURE returned my email about this recently and said this should all be sorted by now. I have recommended the SHURE M97XE to 2 different family members and they have been very impressed. 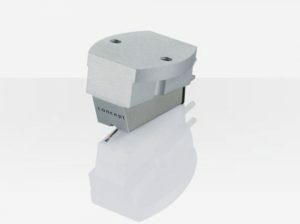 For the price in my opinion you will not find a better cartridge available. 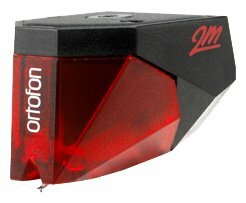 The next cartridge I would recommend is the Ortofon Red. This cartridge to me seems to have even clearer highs than the M97XE but lacks warmth. To me it is a little harsh sounding compared to the SHURE. For some this could be a good thing as not all listeners prefer a warm sound. I have noticed this with younger listeners such as my 23 year old brother. Because he has grown up listening to mostly digital versions of music he feels that a warmer sound is a little muddy. If you prefer higher treble settings when listening to music I would definitely recommend the Ortofon Red. I recently read an article about the Clearaudio Concept that has me very excited to try it out. The author said that to better the M97XE you would need to spend upwards of $300. The concept is available for $250 so seems like a great deal. He went on to say that the Concept performs on par with much pricier cartridges. I will update my findings after I use the Concept for at least 30 days. UPDATE – Have been using the Clearaudio Concept for 3 months and have been amazed since I first placed needle to record… The Clearaudio blows away the M97xe. Highs are crystal clear and there is deep low bass. The concept makes listening to my Funk, vocal and classic rock albums like hearing them again for the first time. The first album I listened to was my first pressing of Pulp Fiction and was amazed at how great Jungle Boogie and Son of a Preacher Man sounded. Going from a $89 cartridge to a $250 is a big price jump. I was not sure if I was doing the right thing spending that much on just a cartridge. Well, this is not “just a cartridge”…this is a whole new experience. I will update again after more extensive testing. I will then add my pros and cons as well. I am still loving this cartridge. The only con I have run into is that you cannot just buy a replacement stylus for this cartridge. You have to have it re-tipped, which costs almost as much as the cartridge is new. Re-tipping will run you around $199 through Soundsmith. For this reason I still recommend the M97XE as the best Budget Audiophile Cartridge. The ability to replace your stylus for around $60 outweighs any benefits of higher end cartridges if you are on a budget. If you have any questions about cartridges or anything else Vinyl related leave me a comment below or contact me at eric@cleanyourgrooves.com. I didn’t know tha there was still systems available to play records. I have a bunch of vinyl that I have had since I was akid and haven”t been able to listen to in years. You really know your stuff about albumns and will be coming back for my further needs. My albumns are old and a few are no longer in the best of shape. I don’t want to degrade them anymore so what would you recommend I use to play them? Hey Adam, Thanks for commenting on my post. You could definitely find a turtable to play your old LP’s at a reasonable cost. If you want something easy to set up and Budget friendly I would recommend the AT-LP60BK-USB Fully Automatic Belt-Drive turntable. I’ll place a link below to take you to it. It is available on Amazon for $99 and you can use it transfer your vinyl to digital if you wanted to. It comes with a pre-installed dual magnet cartridge. So you should be able to just plug in the turntable nd play your records. 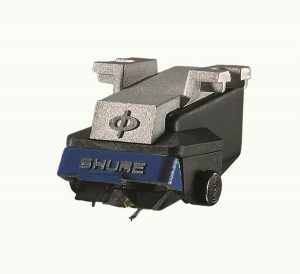 If you want to preserve your vinyl even more I’d recommend investing in a SHURE M97XE cartridge. It is $99 as well on Amazon and would be a big upgrade in sound quality as well. I prefer Vintage TT”s myself, but they do tend to require more maintenence(which = extra $) and are more complicated to setup. The AT60 series turntables are a decent entry level deck. If you do decide to upgrade to a better cartridge it should sound pretty good. I this info helped and that you do pick up a turntable and start enjoying your vinyl again. Happy Listening!